How Much Compensation Can I Claim For A Bus Accident Causing Injury? When you commute to work, take a bus ride into the city or your local town, or even take a holiday with a coach company, what you don’t expect is to be injured in a bus accident. UK roads have one of the highest safety records in Europe, with bus companies highly regulated meaning that in most cases, when you take the bus, you are in safe hands. But accidents do happen, although thankfully rare. If you have been hurt in a bus accident leading to injury, you may be one of the many people we help with bus injury compensation claims. This comprehensive guide to bus accident claims contains everything you need to know about how to claim, what you need to do, what injuries are covered, how much compensation you could be awarded and most importantly, how Accident Claims UK are the right people to turn to. What does a bus accident injury involve? Claiming against a bus company – what’s involved? Slips, trips and falls on buses – can I claim? My child was injured on the school bus – what do I do? Slip on a bus – Can I launch a claim? An emergency stop on the bus caused whiplash – can I claim? What can I claim for after suffering injury in a bus accident? What causes most bus accidents? How do I work out who is liable for my bus injury? 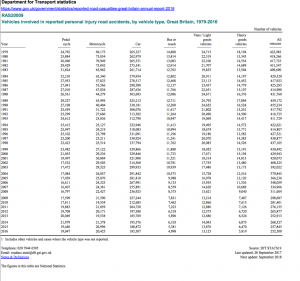 Bus accident compensation amounts – What could I receive? Can I launch a No Win No Fee accident on bus claim? Why call Accident claims for bus accident injury claims? From hopping on the local Arriva bus to taking a longer journey with Stage Coach or National Express, you assume that the bus is fit for use on UK roads and the driver well-trained as a professional. When accidents happen, the resulting injuries can be life-changing. And it is not just physical injuries, but the emotional trauma of being caught up in the accident that can have an impact on you. This guide to making a claim for compensation address all the key issues of accident claims, how much compensation you could be awarded and so on. Road traffic collisions are reducing in the UK, with personal injuries rates also improving, as well as improving the quality of the roads, driver education has all helped to reduce collisions and accidents. 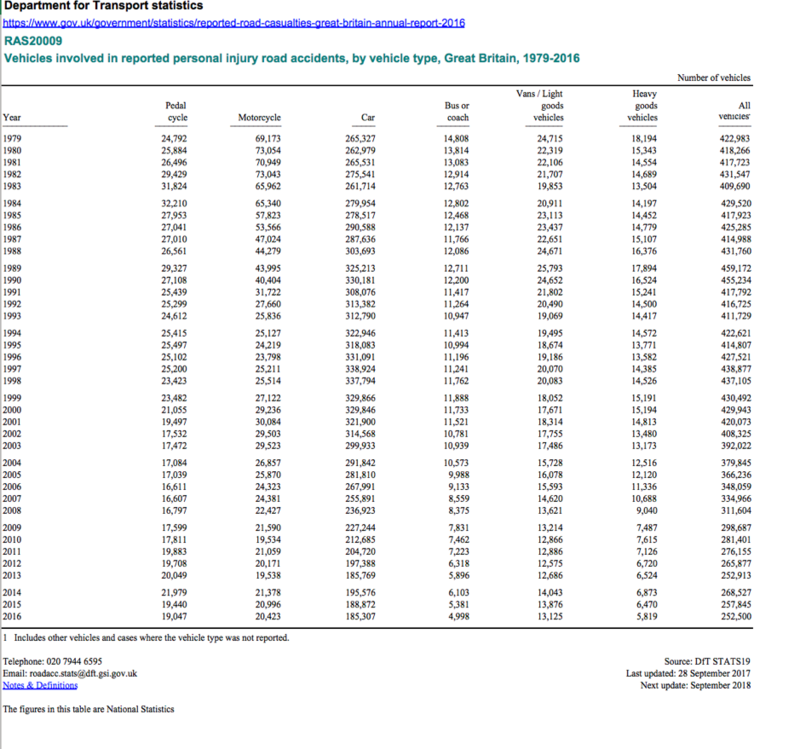 That said, of the 252,200 vehicles involved in accidents on UK roads in 2016 that did result in personal injuries, 4,998 buses and coaches were involved according to the latest set of figures from the Department of Transport. 36% of accidents involving a bus or coach resulted in injuries to people community to work. There were 40 school buses or coaches involved in collisions that led to school children and drivers being hurt. Some of these injuries may have been minor, others a little more serious. Some accidents are so severe, that the resulting physical and emotional trauma is life-changing. Thankfully, the latter examples are rare. Being involved in a bus accident can mean whiplash injuries, as well as lacerations, soft tissues injuries, and broken bones. Depending on the nature of the collision, there are cases of people being trapped and burnt by a vehicle fire. There are, of course, instances of fatal injuries from road traffic collisions involving buses and coaches. Some of these injuries will result in bus passengers making claims against bus companies, something that our panel of expert solicitors can help with. Take photos – most of us carry a smartphone these days and this is a valuable piece of kit when involved in an accident. Take photos of the scene and the surrounding area for clues as to why the accident happened. Collect witness details – if you can, collect details of people who saw the accident. Your personal injury solicitor may, as part of your claim, use their statement as powerful evidence of what happened. In fact, many city bus accident settlements are successful because of witness statements. Write down what happened – we think we will remember because who could possibly forget the day of the accident? But, our memory is not as reliable for recalling the smaller details of such a catastrophic event. As soon as you can, write down what happened – what did you notice, see, hear or even smell? Sometimes, with road traffic collisions, it can help to draw a diagram of which vehicle was where and so on. Making a claim for compensation can take several months to resolve but for many people, it is essential. Physically and emotionally traumatised by their accident, they may also be suffering financially too. There is a defined process of making a claim, something that you will discover in detail as part of our FREE consultancy service. This is our way of assessing your claim against the law as it related to a personal injury claim. It is a fact-finding mission about the accident, your injuries and the severity of them, using the information collected at the scene and after the accident. As part of your claim, you may be required to undergo an independent medical examination. This looks at your injuries, how well you are recovering and what the effects could be in the longer term on you and your quality of life. We make sure that any medical appointments are held locally to you to minimise travel and disruption. But most important of all is understanding how much bus compensation claims can cost. At Accident Claims UK, all the solicitors on our panel operate using a genuinely 100% no win, no fee service. This means that should you claims for bus injury compensation be unsuccessful, you will not pay any legal fees or costs. But always check the terms and conditions, because solicitors outside of our company do not always offer the same. If you work for a bus company, you may have been hurt in an accident, and you may intend claiming for your injuries. A duty of care – if you are making a claim against a bus company, it first needs to be established if they had a duty of care towards you. As an employee or a passenger, this usually is the case, but it needs to be proven as part of your claim. A breach of this duty of care – if it can be shown that they were negligent, then this may pave the way to a successful compensation claim. Injuries – if this lapse in duty of care led to the accident in which you were hurt, you could lodge a personal injury claim against your employer or as a passenger, the bus company. Slips, trips and falls are very common, but this is an important fact; the majority could have been avoided if an employer, company, organisation or retailer had taken decisive action to remove or minimise the slip, trip or fall hazard. The same is true for slip, trip or fall bus accident claims. A slip or a fall, along with a trip, can result in injury, some more severe than others. Whilst a bus company may be seen to take every precaution, lapses do happen. If you feel this is the case, and as a result, you were injured, you may be able to claim compensation. Getting to school by bus is a common form of commuting for school children across the UK. Some make the journey using public buses, whilst other students commute to and from school or college via buses operated by the council or by the educational establishment. There were 40 school buses or coaches involved in road traffic collisions resulting in injury in the UK during 2016, a slight decrease on the year before. Only 4 years earlier, however, this figure was nearly double (Department of Transport figures). Buses and coaches are now manufactured with seat belts fitted and where they are available, they must be worn. This significantly reduces the chances of being hurt in an accident but there are still many older vehicles being used daily as school buses. School buses must be maintained to a high standard and yet, there are times when accidents do happen. If this has happened to your child and you believe the bus company was responsible, why not contact a member of our team on 0800 073 8801. Alternatively, you could use our compensation calculator online. As with all compensation claims, we would need to establish that you slipped on the bus as a result of the bus company being negligent. For example, if something had been spilt, why had it not been cleaned up? It suggests that cleanliness of vehicles may not be to the standard that it needs to be according to health and safety regulations. By taking advantage of our free consultation service, we could ascertain the facts of your potential claim, advising you whether your case could be on of the claims against bus companies that we handle. All drivers are taught to perform an emergency stop. It is an evasive action and one that no driver takes unless they have too. But this doesn’t mean you don’t have a claim. For example, if the driver of the vehicle created the circumstances in which they had to make an emergency stop, you could have a claim. Not driving with due care and attention when approaching a junction or traffic island may result in the driver not seeing other vehicles resulting in an emergency stop. Again, it comes down to proving a duty of care and liability. Our team, as part of our consultancy service, will be able to advise you whether you have a claim or not. Founded in 1938, Arriva is a multinational transport company, operating both trains and buses and the UK and the continent. They operate around 5,900 buses in the south of England, as well as in the northwest and the northeast, and across Wales. There have been involving road traffic collisions involving Arriva buses in the UK, the majority relatively minor but some injuries may have resulted. But more serious accidents do happen such as an 11-year-old boy left with serious head injuries after a road traffic collision that involved an Arriva bus in November 2017. There was also a serious incident involving two buses in Huddersfield in the spring of 2017, resulting in bus passengers being hurt . FirstGroup is a larger transport company operating in the UK, as well as in Canada and other countries. In the UK, it operates buses as well as trains. Known as FirstBus, they operate many routes across the UK, although some people will know it better for being the innocent party in a ‘crash for cash’ scam that saw 218 people make false claims for whiplash injuries. As one of the larger transport companies in the UK, the Go-Ahead Group operate many bus routes in and around London, as well as in other areas of the UK. Possibly the oldest transport provider in the UK as they were operating horse-drawn carriages in the 1800s. Known for providing local and national bus links across the country, National Express must surely be the most known of the five top bus companies. But like other transport companies, it is not without incidents on the road. From buses being crashed into ditches, to a fatal accident in 2017 that saw 10 children die, National Express buses have been involved in road traffic collisions, some of which it has been liable for. By comparison, the Stagecoach Group must be one of the youngest, springing into life in 1980, in Perth, Scotland. Fitted with technology that makes being a passenger safer on one of their many routes across the UK, like other companies, Stagecoach takes the safety of their passengers seriously. General damages – sometimes referred to as non-economic damages, this portion of the award would cover your injuries, the effects on you, as well as the severity. Awards also take into any likely future impact of the injury on your health and emotional well-being. Care claim – some injuries are more debilitating than others and where you have required help around the home, including personal care, you may be able to claim under this part of the award. It will also take into account are care at home you may likely need in the coming years. Loss of earnings – if your income has been affected by the accident i.e. been unable to return to work or had to have time off, it can be included as part of claims against bus companies. Travel Expenses – any travel expenses that you feel were incurred as a result of being injured can be included in your claim too. Medical Expenses – although most medical services and treatments in the UK are free at the point of contact under the NHS, you may have had to pay for some medical treatments. Keep the details as this can be claimed back as part of your bus accident compensation claim. A momentary loss of driver concentration leading to the bus or coach hitting another vehicle or stationary objects, such as a lamppost, building or ditch. An accident resulting in an injury as a result of the bus doors being closed, preventing someone exiting or getting on the bus. A passenger slipping or falling on the bus as a result of rubbish or spilt substances on the floor. As the bus pulls away from a bus stop or in stationary traffic too soon and before a passenger has been able to take their seat. A passenger banging their head as a result of harsh braking or an emergency stop. A pedestrian waiting at the bus stop and being hit by the bus. Passengers being hurt when the bus swerves to avoid another car or object on the road. A passenger or passengers being hurt by faulty or poorly maintained equipment on the bus. Passengers being hurt when falling off balance because they have to stand on the bus. 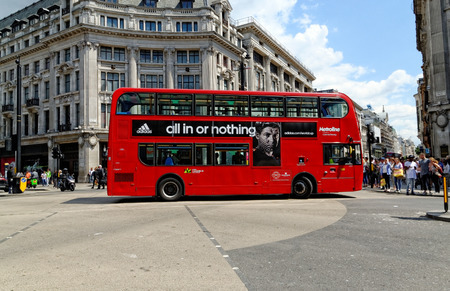 A pedestrian being hit by a bus as they cross the road, or a cyclist or motorcyclist knocked from their bike by a bus. Bus companies are expected to provide safe bus transport on every route that they operate, from safe buses to trained, professional drivers. But as passengers, we have responsibilities too. For example, we must obey the signs that say we are to remain seated whilst the bus is in motion, to take care when getting on and off the bus, to mind the gap between the bus and the pavement etc. As a driver, they have a duty of care to their passengers to drive and operate the bus in a safe manner at all times. Many of the claims against bus companies happen because the expected standard of driving fell far short of the norm, resulting in people being injured. There are other reasons why bus accidents happen too. From potholes causing a momentary loss of control to other drivers operating their vehicles in such a way that the bus driver has no choice but to react to prevent a collision. Most buses now operate with CCTV – the Stagecoach group, for example, boast that 100% of its fleet carry CCTV – and the evidence from these cameras can prove invaluable as part of bus accident claims in the UK. The compensation award table shows some of the award made for injuries commonly caused by bus accidents. How the injury is expected to impact on your quality of life in the future, including any care you may need, will also be taken into account. Where the injuries and severity is high, it will attract a higher award of between £21,200 and £41,675. Below knee amputation on one leg £74,475 to £101,075 Being trapped in a vehicle can cause crush injuries that, is serious enough, can lead to amputation. Whiplash Up to £1,860 Awarded in bus claims in which the passenger is expected to fully recover from short-term soft tissue damage to the neck. Knee injuries (minor) £4,650 Awarded to passengers for minor ken injuries from which a full recovery is expected to be made. Pain disorder £21,300 to £39,900 For passengers who have suffered serious injuries and expected to live with constant pain, could be in receipt of additional monies. Scarring £5,950 to in excess of £79,700 From minor scarring to severe scars, some injuries can leave marks on the skin that will never fade. Where the psychological impact of this is thought to be significant, along with surgery, the cosmetic impact and so on, the award will in the higher bracket. Our compensation calculator can give an idea of whether you have a bus accident compensation claim but our team can provide you with more information relating to how much bus injury compensation you could be due. No win, no fee personal accident claims are useful for all our claimants but more so for people who are on a limited income, possibly as a result of being injured in a bus accident. It takes the financial risk out of pursuing a claim because if your case is unsuccessful, you will not be liable for any legal costs and fees. Our panel of expert solicitors has over 30 years’ experience in helping people claim the personal injury compensation they are entitled to after a bus accident. Not only that our helpline is available 24 hours a day, every day of the week so that you can discuss any concerns you have. And with our genuine no win, no fee service, what do you have to lose? Our free consultancy session will provide you with all the information you need too, about making a claim. Our friendly team is waiting to take your call now. But there is no need to worry as there is no obligation to continue. This is because we understand that you may need time to consider all the options open to you. Call us today on 0800 073 8801. Alternatively, you can use the contact us form via our website or why not use the handy online chat facility? A useful indication of how safe bus travel is in the UK. These statistics look at the busy roads of the capital and the number of collisions or incidents involving transport companies servicing Transport for London contracts. Highlights key changes and updates pertaining to transport companies, including bus and coach operators, across the UK. Check out symptoms and treatments for common injuries caused by accidents. Examines what is whiplash and the symptoms commonly associated with this painful injury.